Competition is needed fullstop. It has to be said that the good value currently experienced in the digital distribution market is only due to Valves experimentation with pricing models that has led them to offer the value that they do rather than competition in the marketplace. Given the recent sales, this is something I am sure we are all most appreciative of. I am fully aware that services such as Direct2Drive, Good Old Games and others offer digital distribution and do a good job too in terms of service and pricing in comparison with Steam however EA is looking to go toe-to-toe with Valve in terms of providing an offering that holds exclusivity for anticipated AAA titles, provide an online community and communication platform as well as digitally distributing games from multiple publishers. EA, being one of the largest publishers of video games across all formats have the connections, the games portfolio and the funding to be a credible threat to Steam. Unlike Microsofts poorly conceived Games For Windows Live, first impressions would suggest that EA have looked at what has made Steam popular as well as some of its biggest critisisms and have attempted to build a platform to rival that of Valves and it has to be said that from a user experience perspective this has largely been achieved. There are a few teething issues which should be expected from a new platform however the experience of buying, installing, playing a game and communicating with friends feels very familiar and largely intuitive. It could be argued that EA have missed an opportunity to innovate here and are simply building on the success of the already established valve platform unlike services such as Onlive who offer a genuinely unique service however given the amount of investment that has been required from EA to build this why rock a stable boat. For the last six months EA have slowly and relatively quietly been withdrawing titles from the Steam platform. All other digital distribution platforms seem unaffected so far however Steam is now seeing fewer and fewer EA titles with the highest profile absentee being Battle Field 3. EA have cited a number of reasons surrounding this gradual withdrawl, blaming valve, blaming legal requirements, miscommunication and various other factors however the shift is clear. If you want EAs future AAA titles, you will need to have an origin account. This in itself is not neccessarily terrible as Valve themselves adopt the exact same approach with their own titles which has relatively recently got the backs up of store retailers however this was initiated in a world where there was no established alternative digital distribution platform and as such the long term effect of this on us as consumers needs some consideration. To play valves games you have to have valves platform, the play EA’s games you have to have EA’s platform. Whats to stop Activision, SEGA, Ubisoft and others all adopting the same route? The future of your PC could well be that you will be running a plethora of distribution platforms with different groups of friends, communities and games. Worse still, should this occur rather than creating competition it actively avoids it. There is no competition if you can only buy a product from one place and therefore you can charge what you like. PC Gaming for a long time has enjoyed comparitively cheap prices in comparison to buying a game on a console which given the investment required in the PC has always historically felt justified. As time passes however, PC hardware has become cheaper and consoles more expensive (at least at release) to the point where there now isnt a great difference in the price. Games too are seeing price hikes where before £20-25 was common and £30 was high, more and more AAA releases are seeing price points of £39.99 and even £45 at release taking them on a par with their console versions. Back to my initial point then, competition. Should steam be the only route to digital distribution? No it shouldnt. But similarly a marketplace where everything is segregated and pricing has no competition will do far more to damage the PC games community that we currently know than the apparent monopoly we exist in. 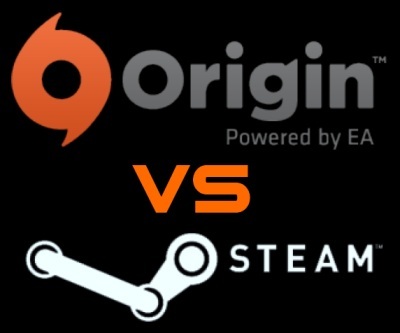 Does Origin indicate the downfall of PC gaming? No it doesnt and it certainly shouldnt be claimed that it does, however by avoiding the aspects of competition and capturing an audience as well as the somewhat dubious terms and conditions that need to be agreed to for registration it has to be said that Origin represents a good example of what a global publisher wants you to accept rather than neccessarily what is good for you as a consumer which I think will become more and more relevant as digital distribution furthers its expansion. Its down to us to shape the service we want to receive. This entry was posted in Games and tagged Digital Distribution, EA, Market Competition, Origin, Steam, Valve by tokey. Bookmark the permalink. Competition is definitely welcome BUT only when the, well, competition is not total arse. Origin offers nothing that Valve can and in fact, makes the whole thing even worse and one of this is their so-called “competitive” pricing on their games. They went as far as giving a one-day only 50% on their arguably biggest title on Orign; BF3 and Arkham City seems like an indication that sales might not be as good as expected. And yes, I know Arkham City was 50% off on steam as well but that is the only major title to go that far. Valve/Steam has had TIME. And time is extremely valuable in a competitive environment. I really believe that Steam has seen them coming since at least a year. And I want to think they have realised that EA’s deep pockets will eventually get them into the market. EA can afford losing at first the sales to a bunch of Valve fanboy because at the end, sooner or later we’ll all fall for an EA AAA title. Even now, they are already getting a bigger cut per game as they are not paying Valve’s share anymore. And once they are completely free of Steam, then they can take in all the profits of selling a digital copy at retail price. Valve knows this and they have had the time to think about where they want to go next and even time to prototype it, test it and stabilize it (whatever it is). I think Valve will prepare very carefully a response to Origin and tune it until they release it at the right moment. I think it is going to be Steam 2.0 and awesome, but I do not know what it will be. I’d be really let down if it was just more Facebook social crap. I’d be let down if it was just an interface facelift. I’d be curious if it was native support of Kinect, but not a lot. I’d be more excited if it was native integration in Linux and in the next Playstation. And I’d be astounded and really surprised if it was Steam OS. Or this could just be all stupid conspiracy theories and in fact they are just making Half Life 3 and that way no one will ever leave Steam anyway. What I would really like is for Steam to buy Onlive and combine that into the service. From what I gather through my inside information, fat chance Valve will buy Onlive and make HL3, especially the latter. As for Steam in response to Origin, didn’t they make it so that PSN plyaers can log into Steam client or whatever purpose? Console competition ftw. I can admit to being one of those Valve Fan Boys I haven’t bought an EA title since Origin release. I would sooner move to an older MMO then go to EA the way they do things fundamentally annoys me the biggest example being multiple bans for things that really should not get you banned. A lot of EA actions seem childish like EA boss John Riccitiello – saying – During IG’s meeting with Riccitiello at E3 he said that he wants Activision’s franchise to “rot from the core” This was aimed at MW because of EA release of BF3. To be honest. Comparing steams catalogue of 1000+ games compared to origins what? 100-200 games? Their categories are sorted by games titles for gods sake not by genre. Either way what I’m trying to say is EA are going to find it a hard time coaxing developers to sell their games on the EA Market because 1. Steam has a bigger subscriber base, the new article at PC Gamer states that there are 40million people on STEAM (I’d like to see the faces of those who were claiming PC gaming was dead) which is astonishing and 2. Steam take a GENEROUS revenue and give a good amount back to the developer ( way more than greedy dying retailers) which means developers find it easy to get noticed. These two a long with the community features is what is keeping STEAM hanging in the sky. By no doubt it’s also the crazy sales they have as well as competitions that run with them (the Christmas competition was no doubt just another way to get players to buy cheap games to TRY and win every steam game) that makes STEAM appreciated by it’s player base. I do agree with Joe that they will need to provide quite a bit more to stay at the top because EA do have VERY deep pockets and they can do a lot of snidey stuff to make sure they can become dominant in this market however i don’t see this happening soon. 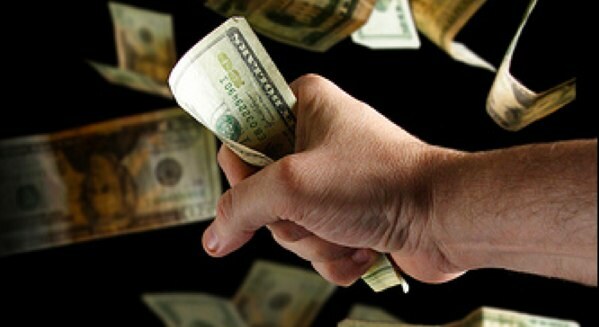 Deep pockets give you time. You can try once with BF3, miss some gamers but get a lot (Hi Whoop). Then try with SW:TOR, you miss some but get some more (Hi Labchimp). Then comes Mass Effect 3, you get some more (I am betting MP will crack for this one). And so on and so forth. At the end, you find you have installed Origin in 20 million machines and then, you start offering money to other publishers for Origin exclusivity. That is the way deep pockets work. That is what Microsoft did with the Xborx, they lost money for almost 7 years in a row. They never got money out of the first console, it was pure loss. And at the end, it paid them back, they are leading the console market. It is their money to use whatever way they see fit, of course. And they have the right to compete. If Steam does nothing, they will lose market share, but I am hoping that they are not going to stay like this forever, they will react. I see. Well i’ll have you know STEAM was supposed to release some Icon changer for those that want to play steam games on their TV. They seem to be moving really slowly it could be that they’re doing a very good job of keeping it wrapped up inside Gabes fat or they’re not going to start until they see some real competition (something that makes their sales suffer) it could be that they’re building a collection of services and tools and then planning to ship them at once to deliver a nice sucker punch headed towards those that have Origin scented balls. Who knows. Valve are full of mysteries. What they do is unpredictable.